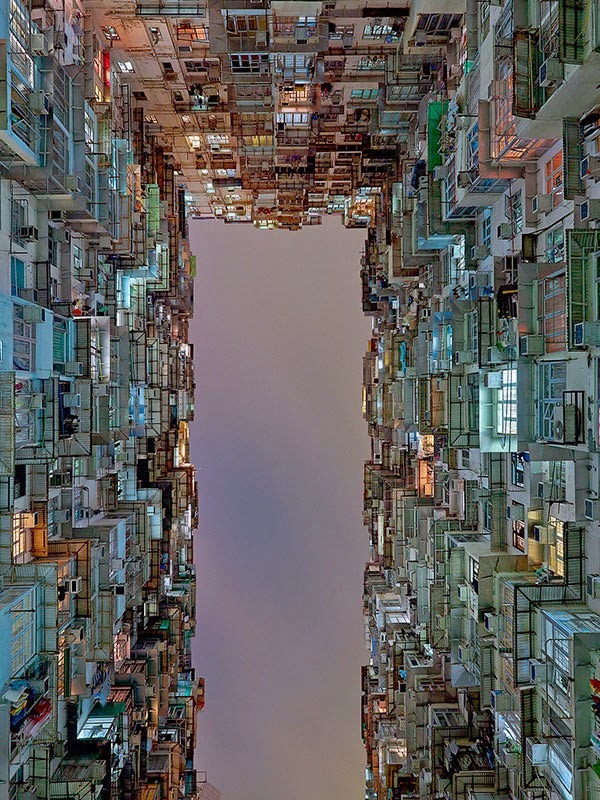 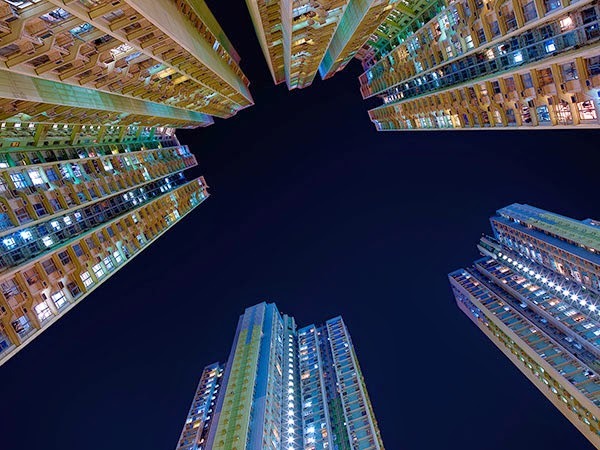 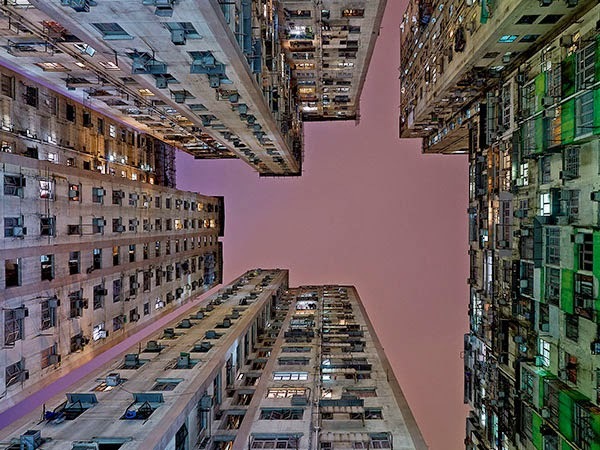 Photos of apartment buildings in Hong Kong taken from below ground that shows the overwhelming concentration of soaring buildings and skyscrapers in order to contend with the lack of lateral space. 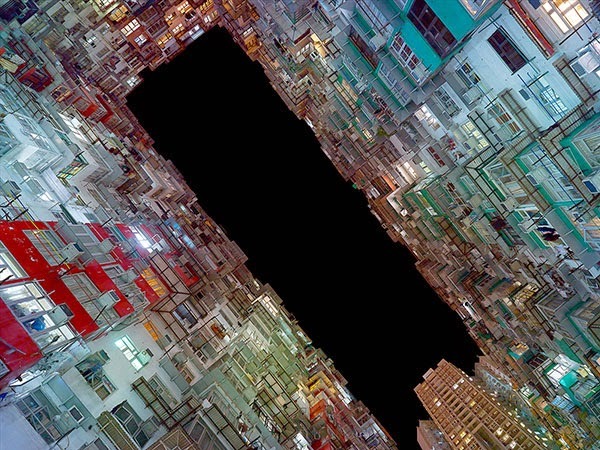 Wilschut's fascination with architecture propels him to take images that have aesthetic value and that allures the spectator to discover the multiple layers that exist in his work. 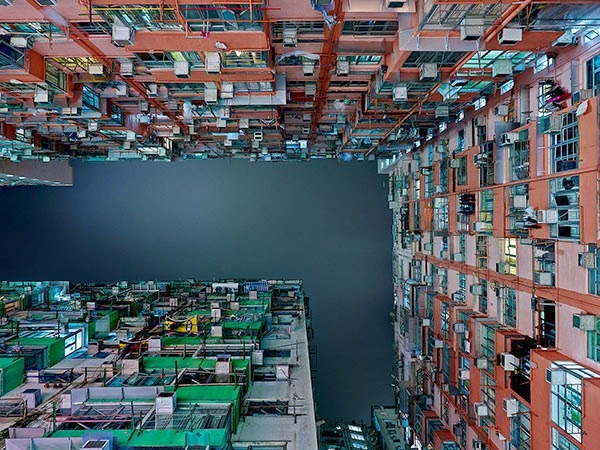 Hans Wilschut is a photographer based in Rotterdam, Netherlands.